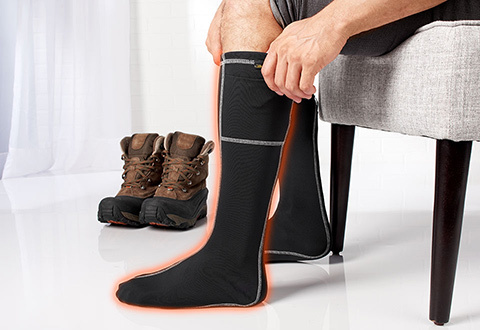 Keep your feet warm and comfy for up to 10 hours with our extra-thin, battery-powered Heated Socks. They’re made with moisture-wicking micro polyester to keep your feet dry, plus Spandex interlock fabric that conforms to your feet. 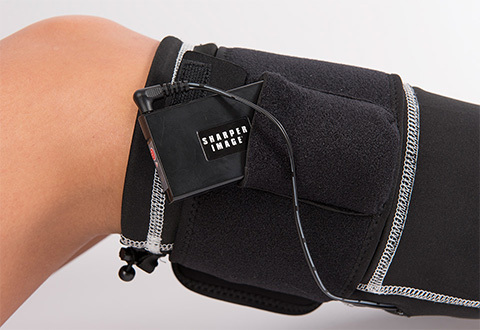 They come with two rechargeable lithium batteries (one for each sock) and a dual charger. 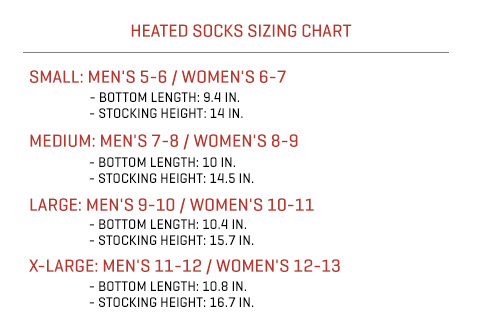 Simply select one of four power levels for up to 10 hours of heat that warms the bottoms of your feet, from heel to toe. Unisex style, available in Black. Sizes S (Men's 5-6/Women's 6-7), M (Men's 7-8/Women's 8-9), L (Men's 9-10/Women's 10-11), XL (Men's 11-12/Women's 12-13). Our Heated Socks have rechargeable batteries to keep your feet warm, dry and comfortable for up to 10 hours. - Bottom length: 9.4 in. - Stocking height: 14 in. - Bottom length: 10 in. - Stocking height: 14.5 in. - Bottom length: 10.4 in. - Stocking height: 15.7 in. - Bottom length: 10.8 in. - Stocking height: 16.7 in.